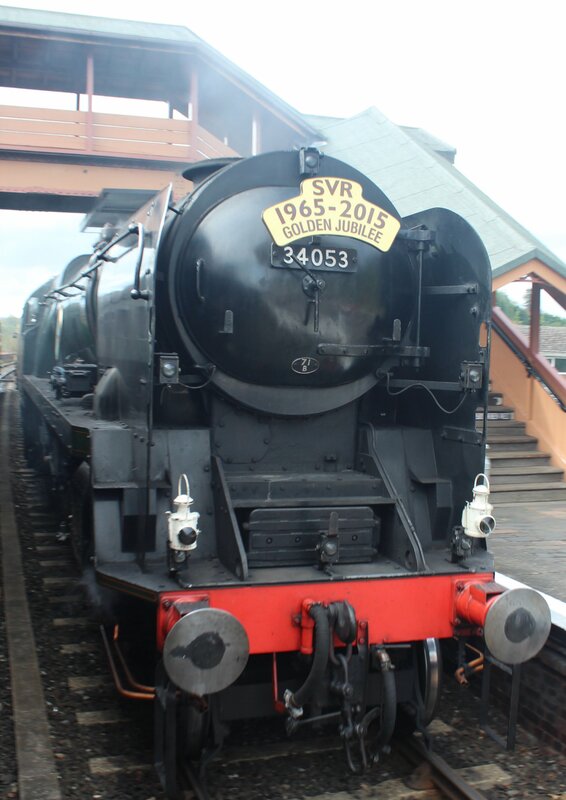 The Severn Valley Railway is holding a competition to celebrate it’s golden jubilee. To enter, all you need do is buy a ticket on the line from 5th July. Six people lucky people will receive a golden ticket, giving them and a guest an exclusive behind-the-scenes tour – something that will surely attract many enthusiasts!The golden tickets will be hidden randomly at Kidderminster & Bridgnorth booking offices and at the ticket counter at Comberton Place, Kidderminster. There will also be a special Golden Jubilee competition on their Facebook page with the winner receiving one of the elusive golden tickets. The railway has much to celebrate, as it recently won Best Preserved Railway for Groups 2015 in the Group Travel Awards. With no less than two working rebuilt Bulleid Pacific’s, it seems there are plenty excuses to visit the Severn Valley Railway this year! Check out the railway’s website (here) for more information about the line. 17/06/2015 in News - Preserved Railway, Severn Valley Railway.